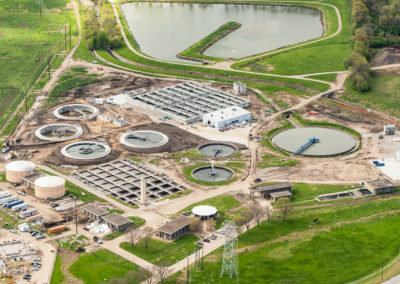 The City of Litchfield replaced their 80-year-old water treatment plant with an innovative four million gallon per day (MGD) plant that utilizes both dual media filters and membrane filtration. The membrane filter can operate in both series and parallel operation, acting as a fourth filter in parallel and as a polishing filter in series. 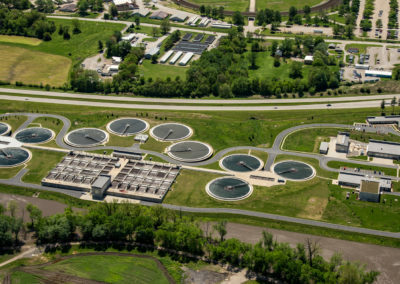 At startup, the treatment plant was one of only a half dozen plants in Illinois using membrane filtration with a surface water supply. The citizens of Litchfield threw their support behind this technology – which provides higher quality drinking water by completely removing pathogens – and were instrumental in its eventual inclusion in the project. 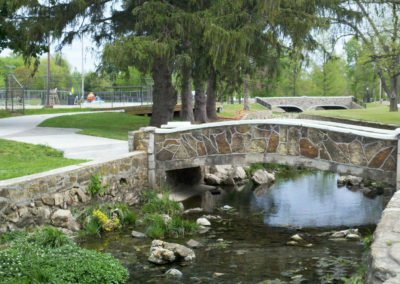 The project provides a facility that meets current regulations for drinking water and is designed to meet stricter regulations anticipated in the future. Site selection efforts focused on land already owned by the city, eliminating the costs associated with land acquisition. Other project highlights include meeting the client’s goals of increased automation and improved worker safety. Crawford, Murphy & Tilly (CMT) received client satisfaction ratings of 9.7 and 9.8 for the services provided on this $15 million project.